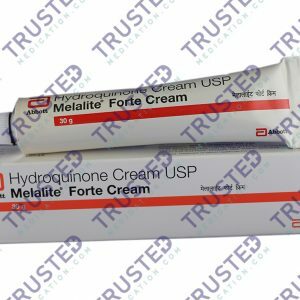 Melalite Forte 4% (Hydroquinone, Glyceryl Mono Para Amino Benzoate) is a topical preparation which can speed up the lightening of acne scars. It contains an ingredient that can reduce dark spot, freckles and other skin discoloration making your skin tone even. Although there are effective treatments available against pimples, sometimes they leave enraging dark spots. Melalite Forte 4% can minimize your acne scars by making your skin tone even. Its active ingredient is designed to instantly whiten dark spots on the skin. You can buy Hydroquinone, Glyceryl Mono Para Amino Benzoate here.